Weekend Historical Happenings: 5/11/13 - 5/12/13 ~ The History Girl! 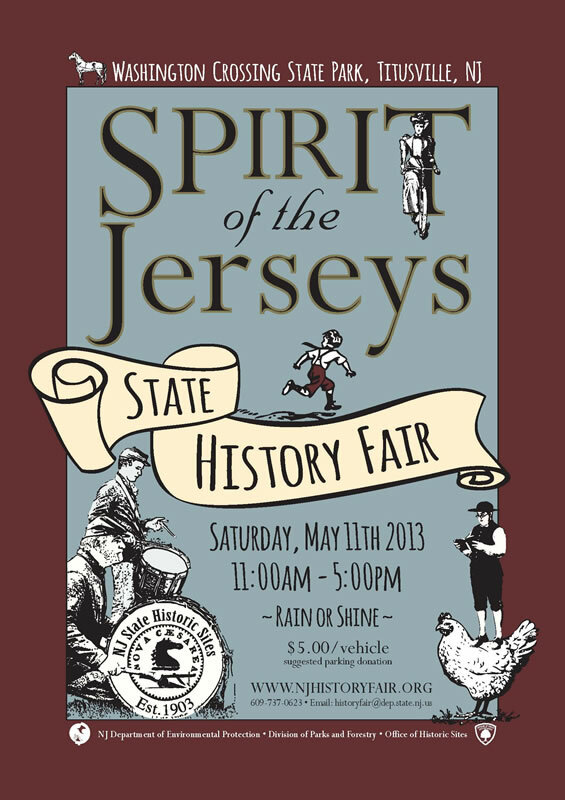 On Saturday, attend the annual Spirit of the Jerseys State History Fair at Washington Crossing State Park in Titusville, NJ. More than 170 historic, government and nonprofit entities and organizations are partnering with the DEP and Department of Agriculture. All of the state’s counties will be represented at the fair, which will be held rain or shine from 11:00 am - 5:00 pm. At 8:00 pm on Saturday, the Hackensack Water Works Conservancy presents Songs of our Mothers: A Mother's Day Concert, with the amazing Yanni discovery and Disney recording artist, Nathan Pacheco, in his ONLY East Coast appearance of the season, singing songs from our immigrant heritage - Italian, Irish, Spanish, Portuguese and French at River Dell High School Auditorium, 55 Pyle Street, Oradell. Like Andrea Bocelli and Josh Groban, he is a rising star of pop/classical crossover. Nathan has starred in two PBS specials, "Introducing Nathan Pacheco: Live in Concert" and "Nathan Pacheco Christmas." The concert will include "Avatar," "Danny Boy" and Puccini's timeless "Nessun Dorma," among many others. Tickets in advance are $40 for general admission; $35 for WWC Members & Seniors. On the day of the concert, all tickets will be $45 at the door. To order tickets in advance, go to www.hwwc.org/events.html or call 201-265-1000. Enjoy afternoon tea at the Miller-Kingsland House, 445 Vreeland Avenue, Boonton, NJ, featuring music by the New England Players. Your hosts will welcome you into their circa 1740 house and offer you delectable scones, luscious cakes, and scrumptious sandwiches. A choice selection of imported and herbal teas will be served. The tea will begin at 12:30 pm. Tickets are $25 each. All proceeds benefit the museum. Reservations are required. 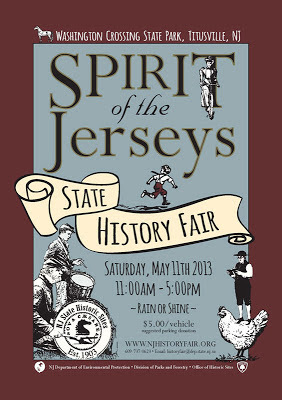 Call 973-402-8840 or e-mail boontonhistory@boonton.org. On Saturday, the Historic Village at Allaire will be presenting a Grand Opening Festival and Illumination Tour from 12:00 noon - 9:00 pm. Join the villagers as they kick off the 2013 interpreting season will a fun-filled day of music, storytelling, crafts, games, shopping, and guided tours of the buildings. There will be a grand opening parade through the Village at 12:00 noon and a Market Auction and AVFA Flower Show at 2:00 pm outside of the General Store. Visitors will partake in 19th century activities such as cider pressing and games alongside the villagers, allowing for insight as to how people in the 19th century lived their lives. With the beautiful weather we are coming to expect in May, this is certainly an event you wouldn't want to miss, as it is one of the biggest and most exciting days of their season. The militia will be present in the village demonstrating different drills and practices. This event provides visitors with a unique opportunity to tour the historic buildings in the evening, with lanterns lighting the way. In addition, Evening Illumination Tours will give a unique look at the lantern-lit Village. Do you like maps? Are you interested in Bergen County history? Bergen County Maps Celebration is taking place Saturday at the Ridgewood Public Library. Parts of Passaic County are on some of the early maps, too. There are a number of events to choose from and eight Bergen County wall maps will be on display, covering 130 years: 1861-1991. 9:00 am - Sanborn Maps Workshop. Learn how to use Sanborn Insurance maps for local history research. Auditorium. Registration suggested. 10:15 am - Writing a House History. How to make the walls of your house tell stories. Several Ridgewood buildings will be used as examples. Auditorium. 11:15 am - Children's Event: Map Story, & Craft. Open to Ridgewood cardholders. Contact the Children's Room (201-670-5600, x 110). 11:00 am - Bergen County Map Displays. 8 Bergen County wall maps and 2 Bergen County atlases will be on display. How did our transportation network evolve? Is your street on all eight maps? What happened to the wetlands? The maps will be on display through May 19, 2013. 1:30 pm - Bergen County, 1860. Guest lecturer Kevin Wright looks at Bergen County on the eve of the Civil War through the lenses of the 1860 census and the 1861 G. Hopkins map (also on display). He will discuss the growing political and cultural divide between the county's agrarian northern townships and the suburbanizing southern townships. Kevin is past-president of the Bergen County Historical Society and one of Bergen County's premiere historians. For more information, contact Peggy W. Norris, Bolger Heritage Center, Ridgewood Public Library, 125 North Maple Avenue, Ridgewood, NJ. Call 201-670-5600, ext. 135 or e-mail pnorris@ridgewoodlibrary.org. Join Craftsman Farms for a day of fun and games for the whole family on Saturday from 11:00 am - 3:00 pm! Children of all ages are invited to explore and learn about homes of all kinds, including family homes, like the Stickley family's Log House at Craftsman Farms, the homes of many kinds of animals, and the natural world, which is "home" to us all. While focused on family fun, this program will also encourage children to consider concepts that Stickley held dear, like the value of nature and the meaning of home. Animal Experiences, an entertaining and educational live-animal program will be a special feature of this event, with families invited to reserve a spot at one of three 30-minute programs. The North Cottage at Craftsman Farms will be the site of a story time reading, in both English and Spanish, of the classic children's book, The Best Nest by P.D. Eastman. The program will also include scavenger hunts both indoors and out to encourage a fun exploration of the Log House and the beautiful natural environment in which it is set. Admission: $10 children; $5 adults; Free to Members at Dual/Family level and higher. 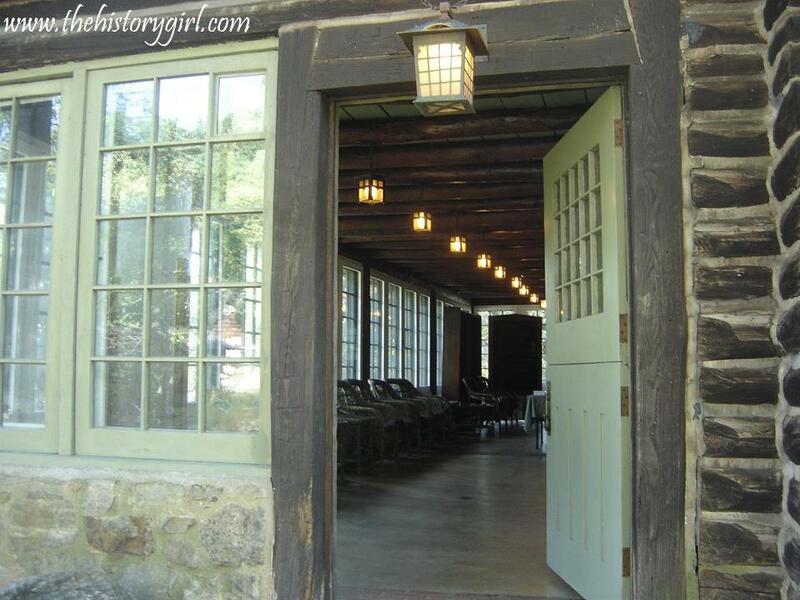 The Stickley Museum at Craftsman Farms is located at 2352 Route 10 West, Morris Plains NJ. For more information, call 973-540-1165 or visit www.stickleymuseum.org. Since the 19th century, Harrison Township and Mullica Hill have been recognized for rich deposits of fossils. In fact, one fossilized mineral, Vivianite, is also known as Mullicite, named for its discovery in Mullica Hill. This coming fall, the Harrison Historical Society will open a new exhibition focusing on its geologic prehistory and is inviting the public to share their findings on Saturday with the project's guest curator, Shirley Albright, retired Assistant Curator of Natural History, New Jersey State Museum, at Old Town Hall Museum in Mullica Hill. A century and a half ago, there were several active marl mining operations around Mullica Hill and Ewan. Marl, also called greensand, consists of organic deposits from ancient sea beds and was dug for its use as a fertilizer. Evidence of prehistoric sea creatures frequently surfaced at these operations, as well as outwash fossils resulting from retreating glaciers at the end of the Ice Age - and can still be found today when digging foundations and cultivating fields and gardens. "We hope that visitors will also have information and artifacts about those old marl mining operations they may have stored away," added Grasso. "All this information will be useful in developing the exhibition this fall." While at the museum, visitors are invited to view the new spring exhibition, "Going, Going, Gone... Lost Landmarks of Harrison Township" in the Memorial Gallery, as well as "Heritage in Stone: Native American Artifacts from Harrison Township", and "The Vanishing Farm: Harrison Township's Rural Past", in the second floor gallery. The Old Town Hall Museum is located at 62-64 South Main Street, Mullica Hill, NJ. Bring the whole family and enjoy a whole range of free activities along Mullica Hill's Main Street as part of "Family Fun Day." For information visit www.harrisonhistorical.com or call 856-478-4949. Free Lighthouse Tours for Mothers! Looking for a memorable way to tell Mom she's the light of your life? Then bring her to Absecon Lighthouse this weekend because dear old Abby is treating Mothers to a free climb. Moms who show their "I Climbed" card at nearby Tony Boloney's Pizza afterward will receive a free slice of pizza as a reward. Hours of operation are 11:00 am - 4:00 pm, with the last climb at 3:30 pm. Parking on-site is free and dogs are welcome on leashes. 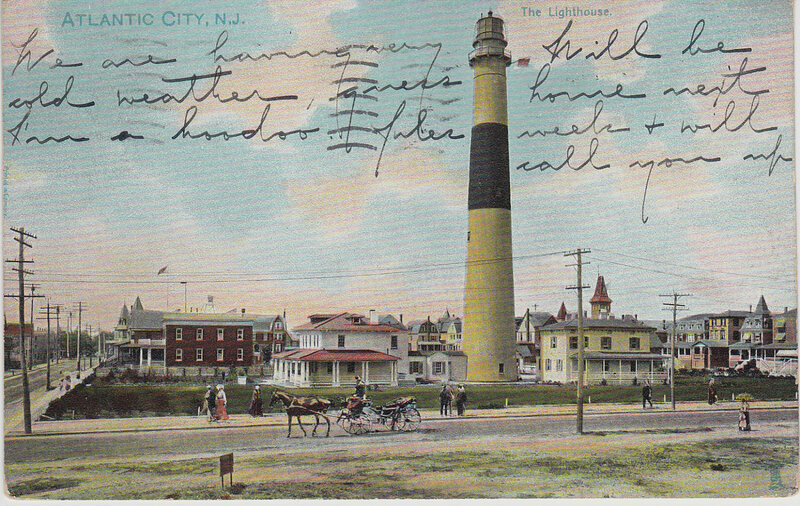 First lit in 1857, Absecon Lighthouse is New Jersey's tallest lighthouse and the country's third tallest lighthouse. 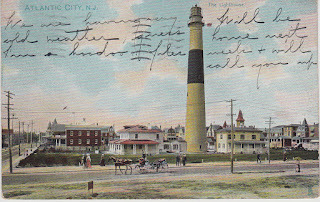 Absecon Lighthouse is a state-owned historic property administered by the non-profit Inlet Public/Private Association. Located at 31 South Rhode Island Avenue in Atlantic City, it is open to visitors Thursdays through Mondays, 11:00 am - 4:00 pm. For more information about Absecon Lighthouse and its programs call 609-449-1360 or visit www.abseconlighthouse.org. 228 Steps - One Amazing Journey! Come join the Museum of Early Trades & Crafts this Mother's Day for an exciting talk on toys and games presented by Catherine Brid Nocholson, PhD, Kean University. Learn how different toys were made, how they would be played with and who exactly the toymakers were. The program begins at 2:00 pm. Advance registration recommended. Call 973-377-2982 x13. Regular admission applies. The Museum of Early Trades & Crafts is located at 9 Main Street, Madison, NJ. For information, call 973-377-2982 x10 or visit www.metc.org. Treat your mother to something special and different this year at Acorn Hall on Sunday from 1:00 - 4:00 pm. Their first Mother's Day tea will feature tea and desserts, a 'Parade of Hats' exhibit throughout the hall, and special themed items in the gift shop. Tours of Acorn Hall will be available. ($10 donation Adults/ Seniors, Students $7, Children under 12 Free). Acorn Hall is located at 68 Morris Avenue, Morristown, NJ. For more information, call 973-267-3465 or visit www.acornhall.org. Lambert Castle is neat to see. The man that owned it was a wealthy man and had a large family that had the best money could buy but he lost all his children in the great flu epidemic. Very sad!